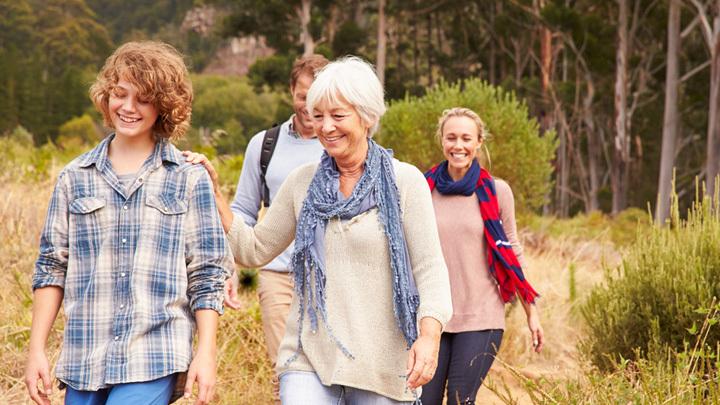 When it comes to travel, finding a common ground between generations can be a little challenging. Most parents will agree that with little kids, to have a stress free break, it’s essential that where you stay there is a play area, a theme park or plenty of kid’s activities. Travelling with a young adult is literally, a whole new ball game. This is where I found myself when my son asked me to come with him to the USA. He wanted to travel to the USA and, in particular, to New York and Los Angeles as a way of celebrating his high school graduation. To be honest, when he asked me to join him my initial reaction was of surprise. Anyone with teenage sons will know that being seen with mum is a big turn-off! The reality is at 18, he is under-age in the USA and will need an adult for things like booking a hotel. Bright lights, fast food, shopping, sports and entertainment lure people to visit the US. Number one on my son’s mind was to attend a football and basketball game. Travelling with someone whose idea of a fun is watching hours of sports compared to mine of cultural indulgence are at different ends of the spectrum. To marry these two ideals in one travel itinerary was going to take some work. The decision to travel to America proved to be the right choice and, besides we didn’t have any language issues. The only communication issue is with my son. Secretly, I was hoping this mother and son trip will open up more conversations rather than the typical monosyllabic responses like, the ‘yeah’ and ‘dunno’ that I get from him. After what seems to be the longest flight ever, we arrive in New York and we are excited. We grab a shuttle from the airport and head to our hotel, The Row, which is right in the heart of Times Square. I chose the Row after trawling through hundreds of hotels. It fit the criteria of price and location. Thankfully, the choice of hotel paid off. The Row is hip and happening. It’s modern, clean and is a great meeting place and walking distance to Central Park, Empire State Building, The Rockefeller Centre, Macys, hundreds of eateries, shops and best of all Broadway. When I say walking distance, I mean within 15 minutes. Mr 18 found his way around the streets easily, largely due to the streets in New York being numbered, for example, 42nd Street and 43rd Street, making it really easy to get around. He also packed his skateboard; most mornings he would scoot along to Central Park before checking out the shops. Google Maps became our best guide buddy and we used it to find our way around. I spent much of my time exploring the streets of New York. It really is the city that never sleeps and after 8 nights, I can vouch for this. Eateries remain open all night, as do the sirens, which go on all night. On Broadway, theatre performances are on every night, there is something for everyone. I must admit that getting my son to visit some of the traditional tourist things, like the statue of Liberty and the Museum of Modern Art was a challenge. One of the best deals you can get is called a CityPass. This pass allows you to visit 6 iconic places, forty percent cheaper than if you were to buy them individually. The CityPass is US$114 for adult and US$89 for child. I used this to visit a number of tourist hot spots. With the Australian dollar weaker, it was worth having a CityPass. Since, I wasn’t haven’t much luck getting him to visit the tourist spots, I turned to the theatre. The play,School of Rock was playing at the charming Winter Garden theatre with rave revues. Initially, Mr 18 did not want to go, he kept saying, “plays are boring”. I made a pact that if he didn’t like it, he could leave at intermission. With that, we went to the play and during the performance, he was smiling! When intermission arrived, he decided to stay. The play turned out to be very enjoyable and humorous. Now it was my turn to experience his world. Before we left for the USA, he booked tickets to one NFL football game and two basketball games. He paid for the tickets by working extra shifts at his part-time job. We had tickets to the New Yorkers playing at the Metlife Stadium in Jersey, which is about a 40 minute drive out of NY City. If you have never visited US, one thing you’ll have to get used to is that everything is on a grand scale from coffee cups to meal sizes. The Metlife stadium is no different, it can be seen miles away; even from the top of the Rockefeller Centre! Again, thanks to Google Maps we find our way to the stadium via a bus. We arrive along with eighty thousand others attending the game. Let me say right now that the game was only one small part the whole shebang. From the moment you pass the entrance, you are entertained at every turn. Cheerleaders, singers, performers and the game itself, there is no time to get bored. It really is another must do. Next day is the basketball game. This time it is at the iconic Madison Square Gardens (home to many performances and games) And, just like the football game – the entertainment is off the Richter scale. Attending a game like this doesn’t come cheap, prices vary depending on seat location – but you can expect to pay upwards of $60 and worth every cent. Don’t forget to try a hot dog and cracker jacks! After New York we head to Los Angeles to visit Universal Studios which is on both our list. Personally, I got to feel like a kid again. Universal Studios is filled with attractions, such as the Simpsons, Minions, Shrek and much more. We note a huge Harry Potter attraction is under construction; with the Hogwarts school taking shape for its opening in June 2016. We are a little disappointed that we will miss it. Young or old there is something for everyone here and the highlight for both of us, is the Studio Tour. We get on board on the tram-like ride through famous movie sets and live working ones. Mr 18, who is keen on movie making, got a big kick from his day at Universal, as did I. I have a sense we’ll be back sooner than later.